Christmas season is here! I normally love the festivities and all that goes with it – decorating the house, making sweets, inviting people over… But this year, I’m nine months pregnant and Baby No. 3 is ready to arrive any time during this Christmas month. The hassle of having to decorate and then clean up the house again in January, almost made me consider just skipping all the Christmas festivities this year. But then I remembered reading an article a few years ago that spoke about the importance of celebrating events and having family traditions that are great memory creating family bonding times. My five year old and six years old, were absolutely aghast when I mentioned that we may not be decorating the house this year for Christmas. So I thought for their sake, I must do something this year too. Generally, I try to involve them in some way or the other. One y ear we made little cards and chocolates and gave it to all the people who help us like our watchmen and maids. 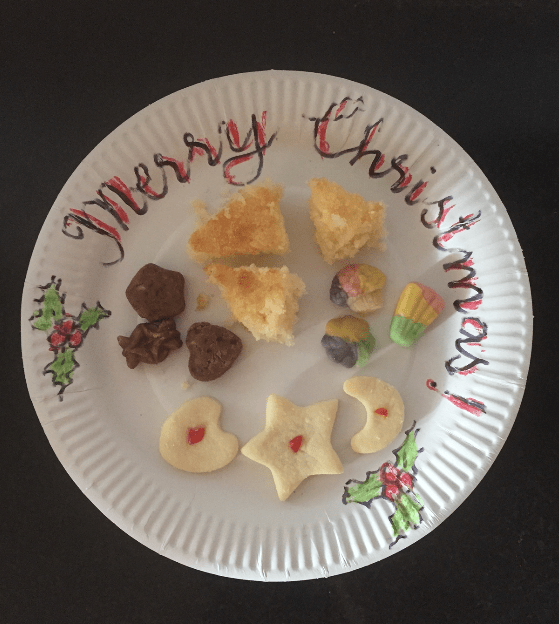 Another year, we made our traditional Christmas sweets and gave it to our neighbours. This year I thought I wouldn’t take on too stressful a project, but would just decorate the house with the kids and involve them by making some simple decorations. Here are a few ideas. Hopefully, you and your kids will enjoy them too. 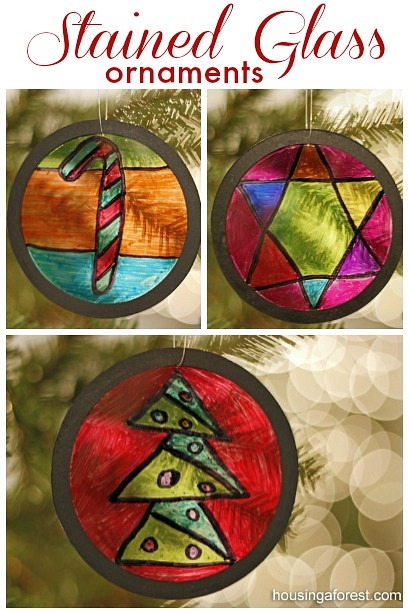 Even if you don’t celebrate Christmas, these are some fun activities to do with your children! I’ve modified the ‘Things Needed’ with items that are available locally. But click the link to get details about how to make the decorations. This is just so nice to look at. And will look beautiful hanging from a window. 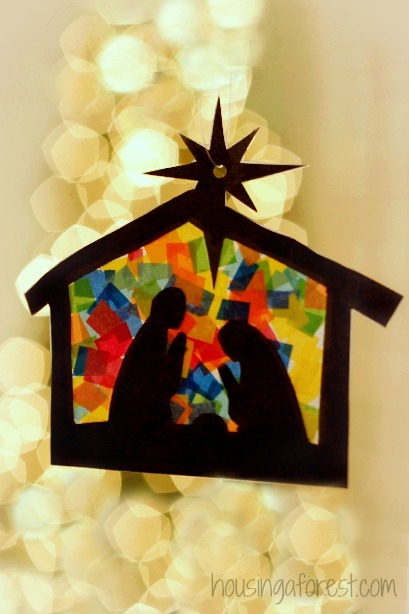 If cutting out the nativity scene is too much for you, you can try a simpler stained glass version. Things needed: OHP sheets, glass paints (or acrylic too will do), black permanent marker. I couldn’t find the tutorial for this one, but it’s very straightforward to make it. 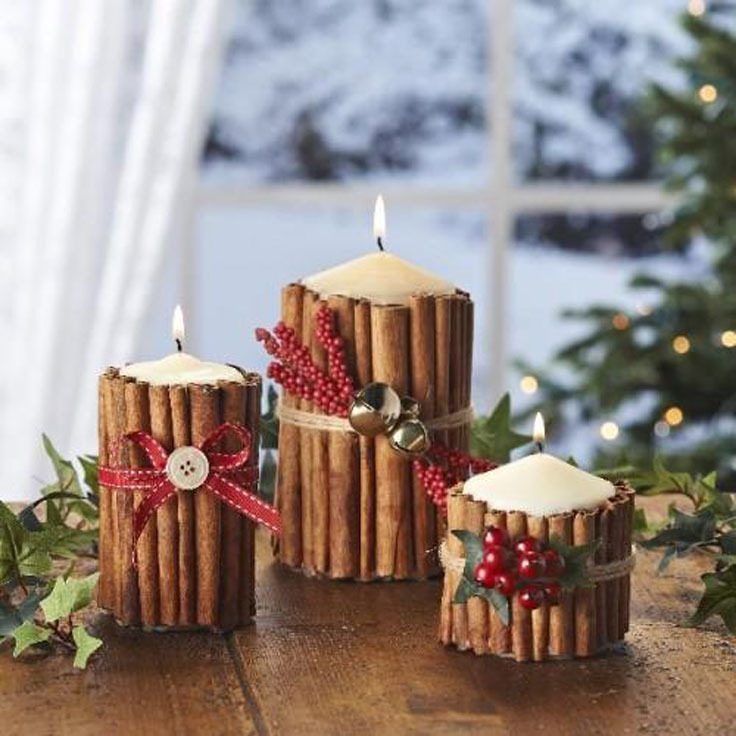 Things needed: White Candles, Cinnamon Sticks (Rolled ones), red ribbon, buttons, etc. Things Needed: Black Chart Paper, Fevicol, Glitter, gold ribbon, tea light candle. Cut out the scene that you want with the black chart paper, stick it on the outside of the bottle with fevicol. Add some more fevicol around the bottle and sprinkle some gold glitter on it. 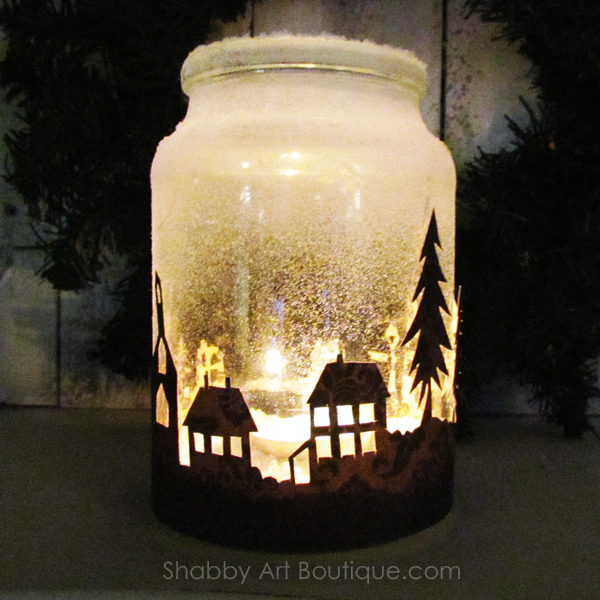 Tie the top of the bottle with a gold ribbon, drop a tealight into the bottle and watch it glow! 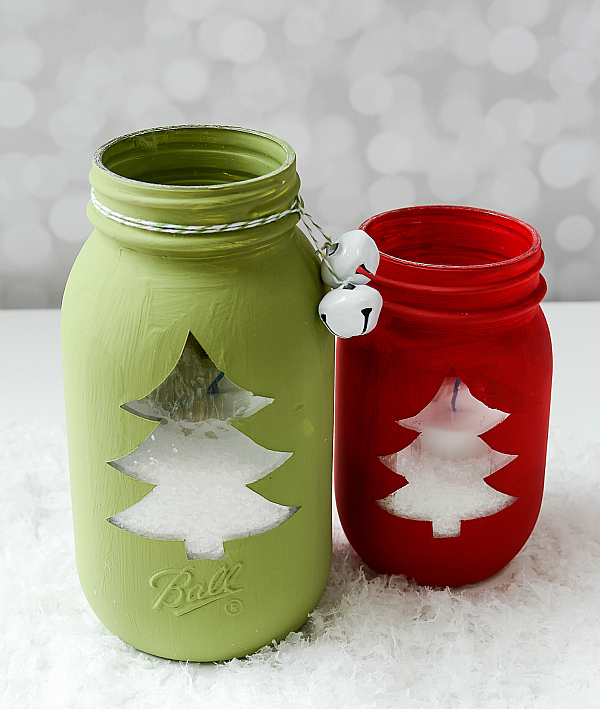 Another simple decoration you can make with old bottles. 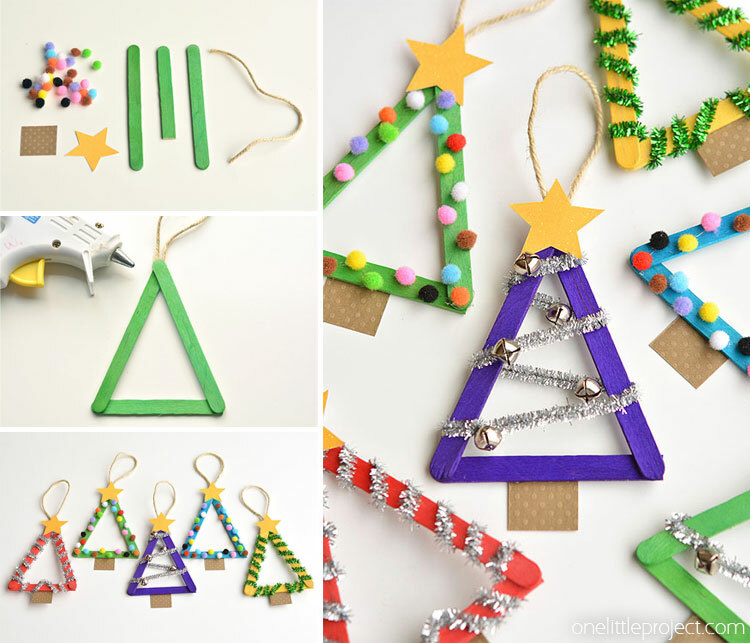 Cut out any simple design like a Christmas tree or a star. Stick it on the bottle with double-sided tape. Dip a toothbrush in paint and spray paint the bottle. Ensure you cover the area with newspaper because the paint will go everywhere! When it is dry, peel off the Christmas tree or star. Tie a ribbon around the top of the bottle. Drop a tealight into the bottle. Things Needed: Ice cream sticks, chart paper, other small decorations, glitter tubes. If the ice cream sticks are plain, you can get the kids to paint it with acrylic paint. If they are already coloured, then they can stick it together with fevicol and add the decorations. Add the star on top and you have a quick and easy Christmas tree! Merry Christmas! Enjoy the season!